A peaceful scenery piped on festive Christmas cookies! The cookies above are a great way to practice basic pressure piping skills, scrolls, lines,bead work, and a little brush embroidery. any design by mastering those three essentials. One day prior to decorating your cookies bake and cool the cookies. 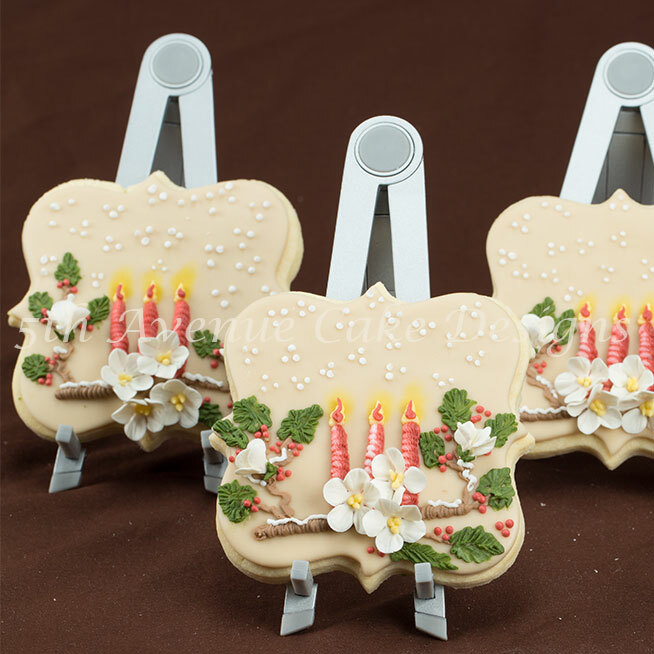 You can either cover the cookie with fondant or top coat royal icing. 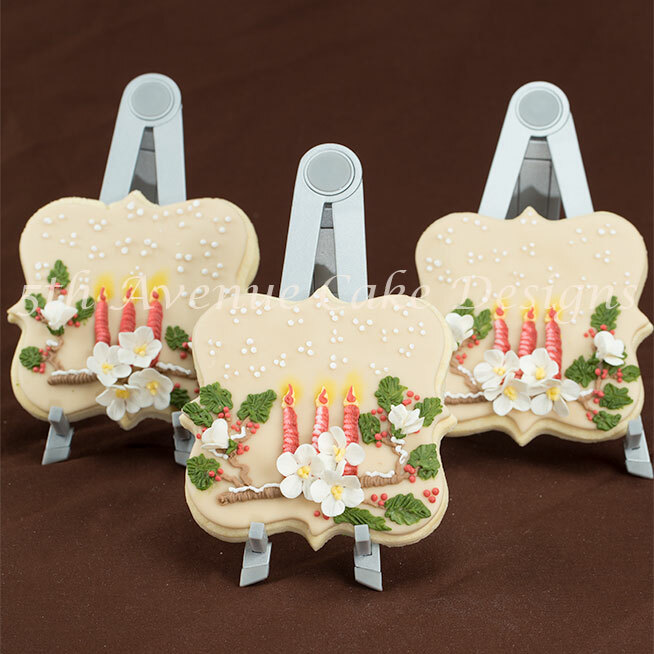 If you choose to cover the cookies with fondant allow 4 hours for the fondant to set. 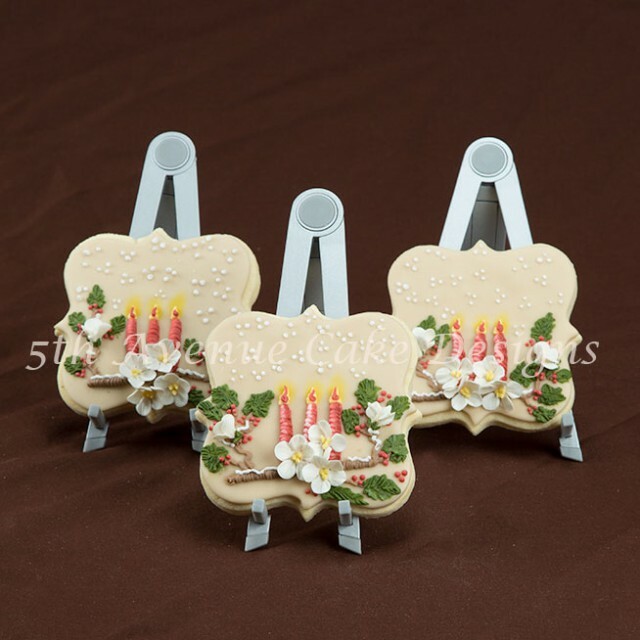 If you prefer top coated royal icing allow 24 hours for the royal icing to dry completely. 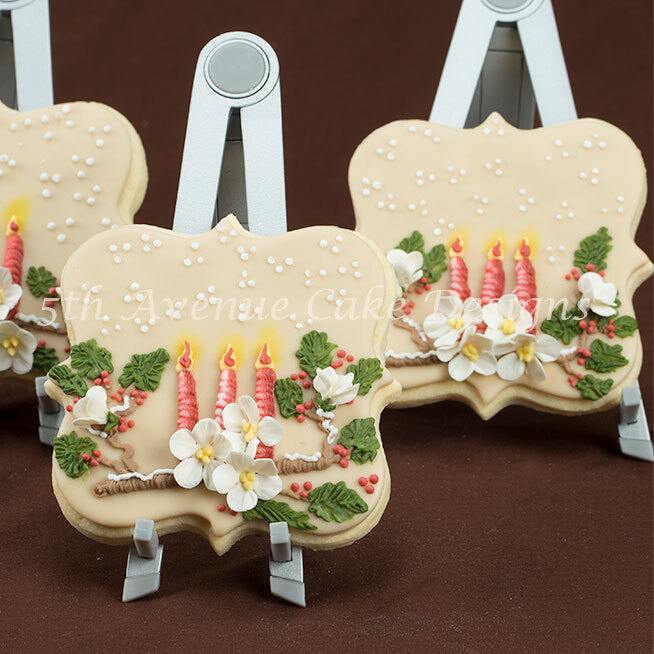 Watch the video below to learn how I created a festive Christmas scenery on a cookie. The blossoms give the extra touch! Follow the recipe for correct consistencies, make sure your bag position is correct and you have proper pressure control. If you watch the icing as you pipe you will be able gauge if your pressure and speed are compatible. Stunning! Thank your for sharing! Your sugar work is beautiful, the cookie looks like painting. I would like to sell your cookies?